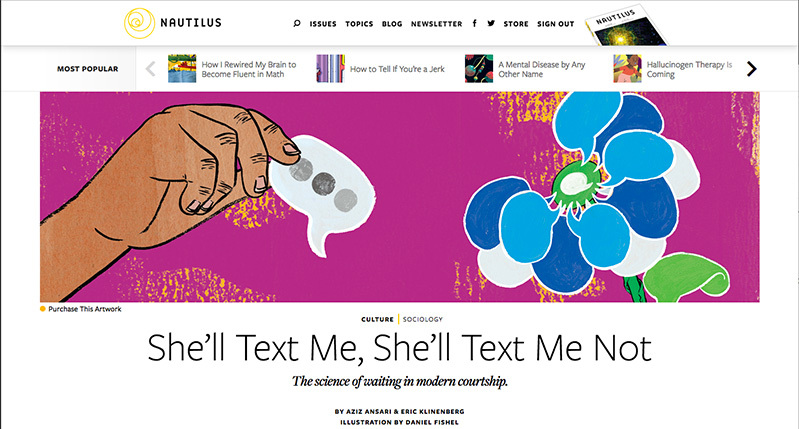 I am the senior Art Director for Nautilus, a science and culture magazine publishing in web and print. I am also the Co-President (with illustrator Julie Murphy) of ICON: The Illustration Conference, which will take place in July 2018. 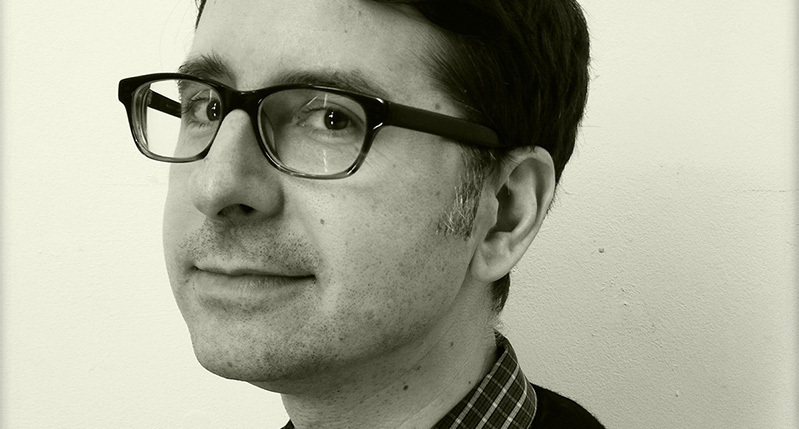 The Nautilus art team (which includes Art Director Francesco Izzo ‘13) designs and produces weekly article content, directs award-winning illustration, as well as videos and interactive features. My thesis project was truly a “through-thread” into my current career in magazines and journalism. I arrived at my first magazine position already having the experience of creating a feature story— from the layout and format to words and images. Before I started in the MFA Design track, I had glimpses of what the top designers were accomplishing, but they felt far, far away. The program brought us to the peer level with these unbelievable talents. It was humbling, and an extremely high bar, which was a pivotal motivation for me. Before MFA Design, I had a desk job. Now I choose to be inspired by my career. My work at Nautilus now requires me to be flexible; there’s nothing in a job title that describes any one thing you do working for a small publication. It’s a great feeling to know the Art Department can take on anything the magazine staff throws at us. I used to believe that having a multitude of interests and abilities was a liability. The job market (in New York especially) rewards the micro-focused career. But I believe that a more open-minded solution thinking is what champions the day. 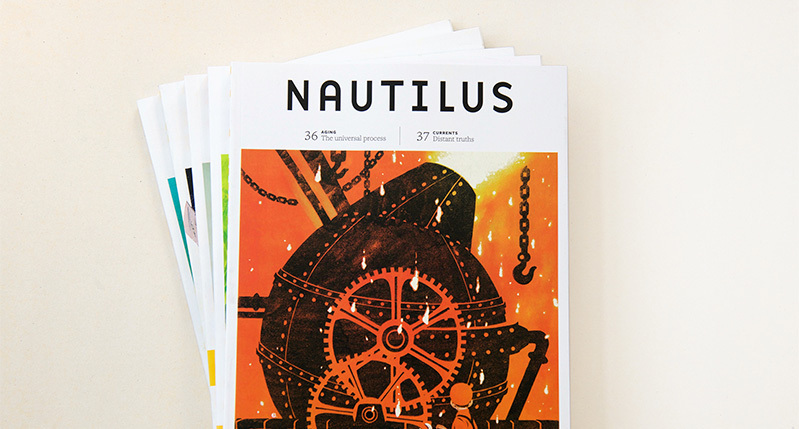 Check out Nautilus on the web and in print (http://nautil.us). Also, look out for ICON10 in 2018– there’s a lot of rewards for designer and art directors at this conference — it’s a visual wonderland!